St Peter’s Church in Southfield Road, Chiswick is offering a new series mindfulness and Spirituality courses. The courses are non-secular and take the form of a series of courses and workshops which promote mindfulness as a state of being. There are courses for adults and for children covering topics such as creative writing, health coaching,mindfulness and music. The centre also offers courses and workshops in Christian meditation, mindfulness for adults, mindfulness and yoga for children and young people. Tutors will include Fr Fabrizio Pesce, Pablo Urbina, Music Director of the London City Orchestra, Elise Valmorbida, author of Madonna of the Mountains and The Book of Happy Endings, Vanessa King, author of 10 Keys to Happier Living and Francesca Camozzi, a Yoga and Mindfulness certified teacher. 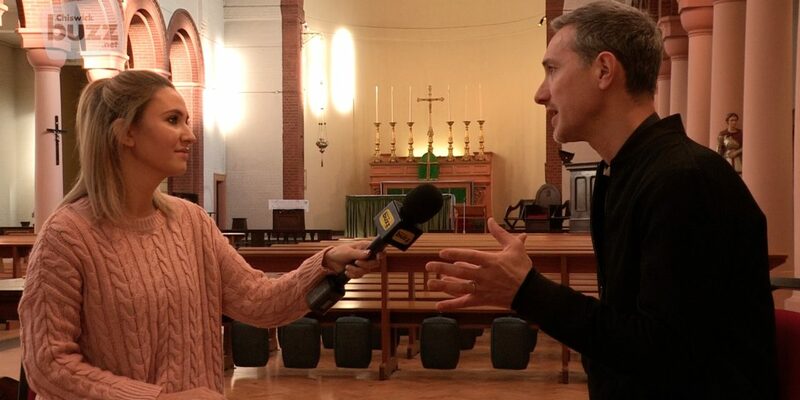 Buffy Pond talks to Associate Vicar, Father Fabrizio Pesce about his plans for the centre, the courses available and the team of experts who will be running the courses alongside staff from the church. St Peter’s is a lively Church of England congregation worshiping in the Anglo Catholic tradition. Fr Fabrizio and his team aim to make the Church building available to the local community so that it can become a place to meet as well as a centre for art, music, dance and other social and cultural activities. The vicar of St Peter’s is Fr Kevin Morris who is also vicar of St Michael and All Angels Church which is celebrating its 140th anniversary this year. You can see our interview with Father Kevin HERE. Take A Bow Wow! The Chiswick Dog Show Is Coming!